Home fengshui What color wallet attracts money? In today’s times earning money is equally important as yielding self-esteem in the society. Ever since a young college student thinks of earning money, he/she values certain beliefs and prays for a better and independent future. Opulence is transient whereas optimistic values are intangible and have prolonged impact over an individuals’ life. From Steve Jobs to Mark Zuckerberg, every eminent personality relies strongly on religionist sentiments and faith. The immensity of being amicable in life connects to the point where all the needs of a person are satisfied. The principles of Feng Shui states that there are certain beliefs on which if a person follows the path can attain the path of obtaining wealth in the future. Have you not heard the saying that an empty vessel sounds more? Most probably might have seen the times when people regret that the expenditure of money is proportionately higher than the income. Anyone can make a regressive analysis about how unlucky an individual would feel in his life when there is inadequate outflow of cash. 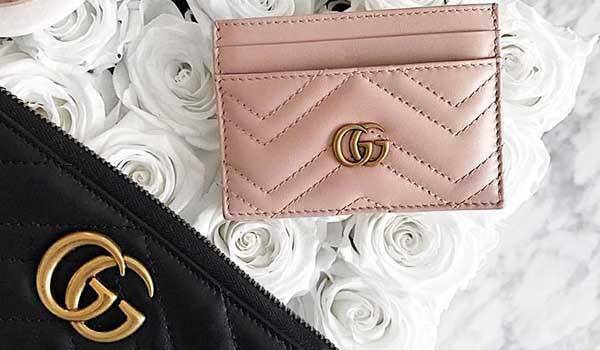 As per the Feng Shui’s practitioners, wallets are considered to be storing house of wealth and to make your wallet weigh heavy there are few advises which one must comprehend. The colour of wallet depends upon the nature which varies from person to person. Black and blue are the magnificent colours which attract the money. At other side, both of these colours associate with the elements of water. Interestingly, their prominence is also exhibited in wealth trigram in one of the major technique of Feng Shui. Out of these two mentioned colours, black captures the wealth fast and is the results behind the successive prosperous life of the person carrying black wallet. Red colour wallets are also getting in fashion trends and are the choice of many big spenders. Red associates itself with the fire element and is known to be the most auspicious colour which aids any beginner to earn money at faster rate. If you are planning to build your business and forecast plans to create a huge business empire, then green coloured wallet is the adept choice for you to acquire. The colour green symbolises to wood which in another meaning implicates the route of growth in one’s life. Like black, blue and red, it also attracts money and is known for bringing abundance of opportunities in life. Green relates more to creativity and churning out of ideas, if you are planning to emerge in creative art zone, then choose this colour for your new wallet and see new possibilities. There are colours which are profound for granting stability in life like yellow, brown and beige. For securing your future financially, these colours enact a very strong role of catalysing opulence and safeguards you from intimidating worries of coming times. If you think of saving your money then brown colour wallet will be the adept choice for you to begin from. Just like the decades have changed progressively so your needs have increased rapidly and for completing those unfulfilled needs you need a hope which Feng Shui’s tips give for free.